Many first time Jeep owners don’t realize that a stock Jeep is not designed for the heavy of road use often seen in magazines and on TV. If you want to have the ability to take your Jeep on those rocky trails and steep hills, you’re going to need an aftermarket lift kit. Suspension Lift kits can drastically influence the way your vehicle handles and performs. For that reason it’s important to choose a kit that best fits your specific needs, whether it is for function or style. 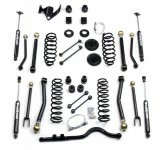 There are two basic ways to lift your Jeep – with body lift kits and suspension lift kits. 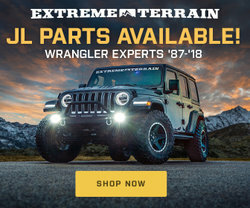 Off-road enthusiasts can benefit from the extra ground clearance suspension lift kits offer, giving them the ability to climb over large rocks and trail obstacles.